MAXILIFT is worldwide known as THE LIGHT CRANE, skilled and hi-tech, modern and user-friendly. Its modular manufacturing concept makes it the ideal solution for light vehicles and several other applications. 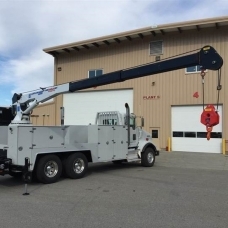 The range includes models between 7,400 and 35,400 ft lb lifting capacity, and offers a variety of versions and accessories unmatched on the world market. 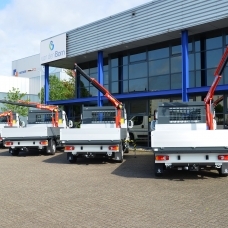 ANT-Minicrane (M50) is the first small crane providing high performances. Light and versatile, easy to assemble and remove (it weighs max. 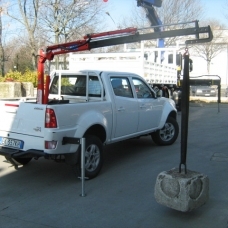 210 lb but it can lift even 400 lb), it is ideal for installation on small vehicles, pick-up and even inside closed vans. It represents the answer to the lifting needs of small artisans, professionals and public field. Innovation, originality, efficiency, high performance: these are the best words to describe the range of service cranes COBRA. Purposely designed for North America and Asia-Pacific markets, they are intended for installation on vehicles used as mobile workshops. The range of telescopic cranes MAXILIFT fulfils the lifting requirements of several actvity fileds: forestry, marine, gardening and nursery, construction, agriculture, tourism, handicrafts, beekeeping, small and medium industries, civil and industrial maintenance.